The Indian Luxury Expo is back, with Porsche, Bentley and Rolls Royce in tow. Tapping into the demand for big brands and their assurance of exclusivity and quality, The Indian Luxury Expo is back with its second edition. Bringing down 70 brandsa��with some like Bentley, Porsche and Rolls Royce participating for the first timea��the two-day event, set to take place at the ITC Grand Chola next weekend, has our attention. Karan Bhangay, the 29-year-old founder of The Indian Luxury Expo, tells us, a�?We as a company have also evolved. Last year, we had around 60-62 brands and this year we will cross 70. We also hope to get more footfalls, hitting 4,000 visitors (up from last timea��s 3,300). The idea is to offer a complete package to familiesa��from a great shopping experience to a nice weekend getaway.a�? Bhangay shares that the brands were selected after a careful screening by a city-based advisory board, comprising Tina Malhotra, owner of designer boutique Evoluzione, Vimmi Deepak, entrepreneur and socialite, and Ranvir Shah, businessman and theatre personality. a�?Ita��s a fantastic showcase of the finest Chennai has seen. Brands like Rolls Royce, BMW, Mini Cooper, Geetanjali and EF-IF (jewellery) make sense here,a�? says Deepak, adding that in the future she would love toA� see brands like Chanel, Dior and Christian Louboutin coming down.A� Also expect to see bridal couture by Fatiz Emporio and Neerus, along with regulars like Osman Abdul Razak (of Gabbana Life) and LXRY. Bhangay, who has been holding expos across the country since 2012, in collaboration with Wedding Vows magazine, says he will be launching it in Coimbatore and Kochi next. a�?When Karan and I met, we realised that our vision and ideology were in sync. The luxury segment is a niche but growing market, and the wedding industry is a huge part of this. So we decided to collaborate,a�? says Dakshna Moorthy Naidu, founder of Wedding Vows. a�?Last year, a few of my favourites were BMW i8 and Aston Martin. 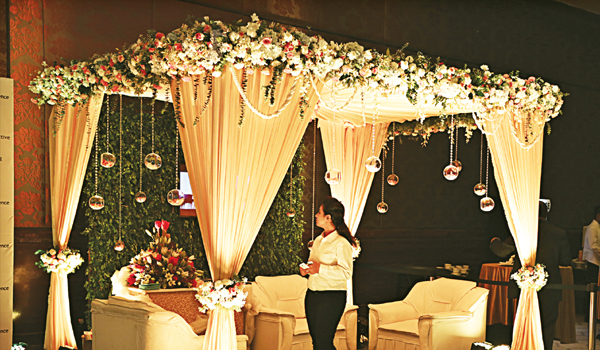 And in the wedding segment, Shubh Cards and Lotus Wedding Planners did beautiful set ups that were luxurious,a�? shares Naidu. Apart from the shopping, the expo will also host live performances by bands. a�?We are trying to bring in young talent. People who visit us will also stand a chance to win diamonds worth Rs 1 lakh from EF-IF,a�? she concludes.